“What role do you think young people could play in shaping Cardiff Capital Region?” I asked twelve of the city region’s leaders and chief executives in my research interviews. Most of them avoided giving clear answers, all while claiming that young people were the future. As soon-to-be adults, leaders thought the youth must be well informed and ready to grab the opportunities created for them. Only two people could think of a tangible response: young people could handle the city region’s social media, or, if they were the right person, they could even act as consultees. One year on, children and young people are showing their political elites that they can do much more. Born in a time when climate change is no longer debatable, they have formed a global movement that demands governments both acknowledge and address our climate emergency. On Friday, 15 March 2019, students from 125 countries went on strike. Most of them left schools and marched in their communities, while those who could not skip classes showed their support on social media under the #FridayForFuture and #youthstrike4climate hashtags. School strikers raised a series of valid questions: why study for a future that might not be there? And why attend classes which do not prepare young people to deal with the uncertainty of the coming years? Feeling misrepresented, young people are standing up for their future. They don’t simply want the government to take measures, they expect school curricula to change so that climate and environmental issues become central topics, not just lessons covered fleetingly. Besides, they’re asking for more inclusive decision-making processes and lowering the voting age to 16. 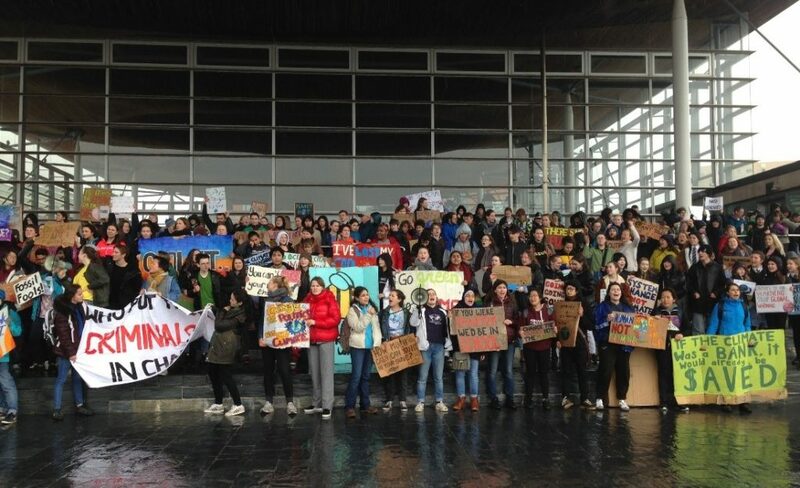 In Cardiff and across the UK, youth strikes took place while politicians were busy figuring out Brexit. They followed the extinction rebellion protesters who have been occupying streets, engaging in various non-violent direct actions. Extinction Rebellion’s success in mobilising people in acts of civil disobedience shows how far many are willing to go to see their governments recognise and halt our ecological crisis. The movement is based on messages of love and connectedness, calling attention to toxic elements of our current social and political systems. They demand rethinking our current democratic systems and setting up citizens’ assemblies. So far, 27 councils in England and Wales have declared climate emergency. At this point, I can think of two options. 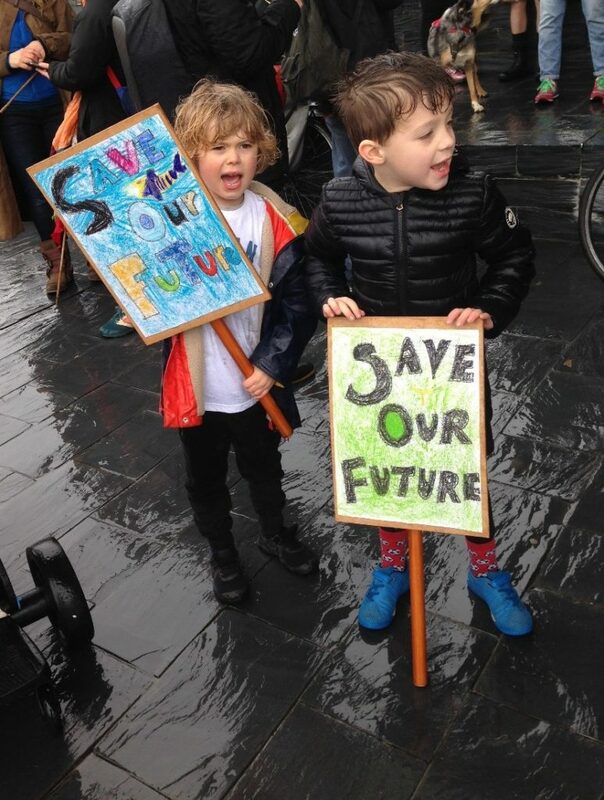 We could grow cynical and start questioning the extent to which children even understand the complexities of climate science, democracy, or the manifold ways in which bold, well intended decisions can backfire (see Macron’s eco-tax for a recent example). Alternatively, we could harness this generation’s incredible energy and passion, rehauling our society’s soft infrastructure to make space for it. We could embrace #FridaysForFuture and design all sorts of experiments that allow young people to explore and contribute to their communities. For instance, we could connect students with political elites and local action groups to work together on current issues (like Y-PLAN is already doing). We know that our governments could use some fresh perspectives, just as much as young people need to understand the dangers of populism and the search for easy solutions. We could also use Fridays to explore issues that children and young people feel strongly about, such as ecological destruction. This would be a perfect opportunity to encourage systems thinking approaches instead of breaking down problems into separate disciplines and silos. These are the very competencies that are being promoted within debates on education for sustainable development. More than anything, I think we shouldn’t waste the opportunities created by these strikes, both as individuals and as communities. The protests should inspire us to question and reconsider our ever-growing material needs, and hopefully determine us to shift our worldview: from humans as top of the ecological chain, to humans as just another species among the many (ranking somewhere between anchovies and pigs in the food chain, to be more precise).